This morning I became aware of a disturbing social media post, which included abhorrent racist statements. These statements represent the exact opposite of The Citadel’s core values of Honor, Duty and Respect that we teach and expect from the entire Citadel family. 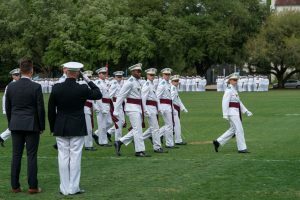 The Citadel’s leadership team is investigating this incident and is taking appropriate action in accordance with the college’s rules and regulations. Over the past several years, we’ve worked hard to advance The Citadel’s commitment to diversity, equity and inclusion. We will learn from this incident and continue our work, which is critical to our institution.